A new technology Called “PoWiF”i came earlier this year. After a group of researchers published a new paper talking about a way to harvest energy from WiFi signals and power some devices like temperature sensor, a low-res gray-scale camera …etc, a team of engineers at the University of Washington confirm for the first time the new published paper and it’s now possible to use WiFi to power devices, they call this technologyPoWiFi (Power+WiFi). 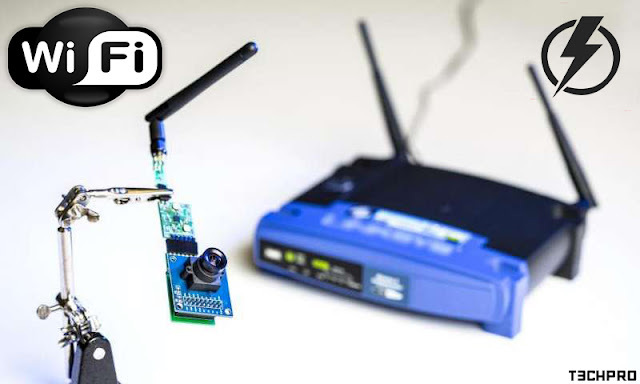 The team confirm the technlogy of PoWiFi by saying “We also made a system that can co-exist as a Wi-Fi router and a power source — it doesn’t degrade the quality of your Wi-Fi signals while it’s powering devices,”. PoWiFi absolutely could change the router and many other thing in the upcoming future years. Using PoWiFi, will make users have less cable and a completely wireless Desktop Pc, charge your phones or tablet in any place into your house or your friend house specially the team confirm that PoWifi doesn’t affect the quality of your WiFi signals. For now PoWiFi can only generates small amounts of power. However, PoWiFi could be developed like any other technology in the future and it can be more efficient. Which Switch to pick: Your guide to Mechanical switches.